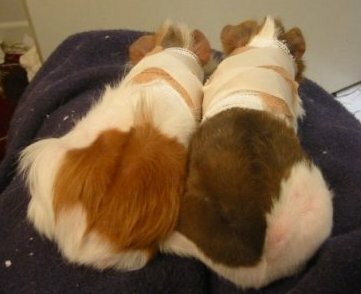 Itchy and Scratchy was surrendered to OC Cavy Haven. 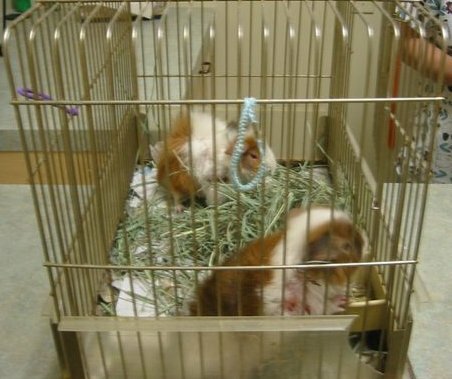 They are two boars bought as pets from Petco. The owners obviously had little empathy for small animals. They didn't think they were suffering, Nicole (charybdis) had to point it out to them. These boys were only about 6 months old. Their mites were so bad that they couldnt stop scratching themselves. 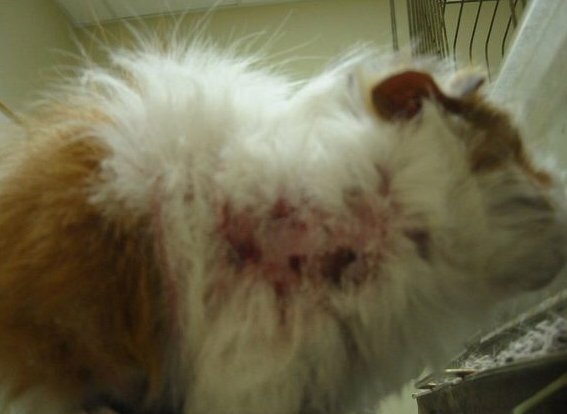 They scratched so much that they had bloody, oozing sores all over. They would scratch and scratch while screaming. Every few minutes, one would flip over and seize. 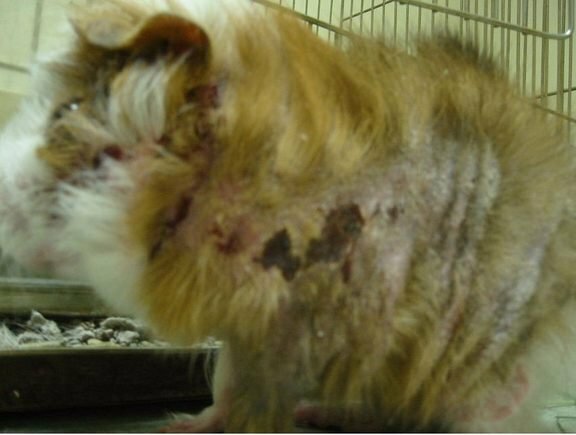 They were treated with Ivermectin, Torubuterol (pain killer) and Dexamethasone (steriod), which was necessary in extreme cases like this to reduce inflammation and itching. On top of the mites, they had scurvy from malnutrition. Scratchy has a severe ear mites, resulting in a permanent head tilt. They really really hated being all bound up. 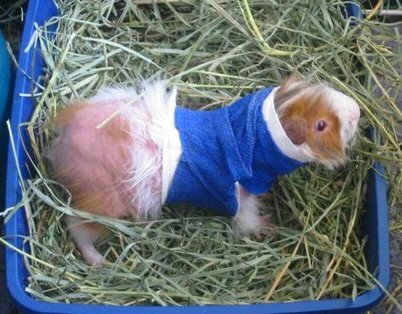 They would go nuts as soon as you put them back in their cage with the "staight jacket" on. 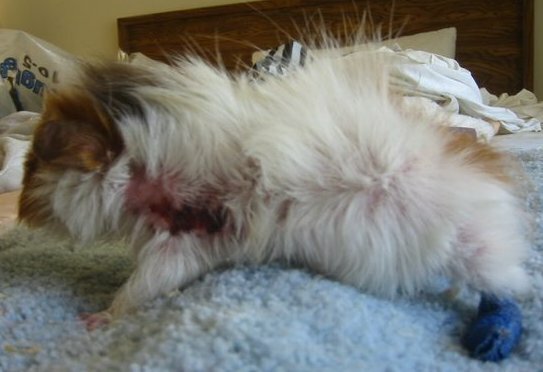 After a lot of TLC and medication (ivermectin)..
Scratchy, unfortunately, has a head tilt that will likely never go away. He's standing on my stomach without even noticing that the whole room is sideways. His entire inner ear must be damaged. Last edited by ChunkyPiggies on Sun Oct 12, 2003 11:18 pm, edited 2 times in total. Cute little boys, I bet they are very happy that they were taken in for some TLC. Who else thinks CP posted that last picture for Paulo? This thread should have a warning label for harsh imagery. What a horrible situation. Brings those warm fuzzies knowing they are safe now. I did have a warning but it cut off half of "graphic" so I took it out. Sorry. And guys.. this is suppose to be a serious referencey thread. Talk about my chest elsewhere. And I think I get enough action in real life to not have to get complimented by some dude over the net... thank you very much. This is a good example of what can happen when mites flare up. Pigs with mites NEED to get ivermectin ASAP. These pigs should never have been allowed to get that bad. The previous owners were disgusting. Do you know what happened to their other pets? WEll, Nik kind of chew their faces off after they told her they were going to keep the 3 females. 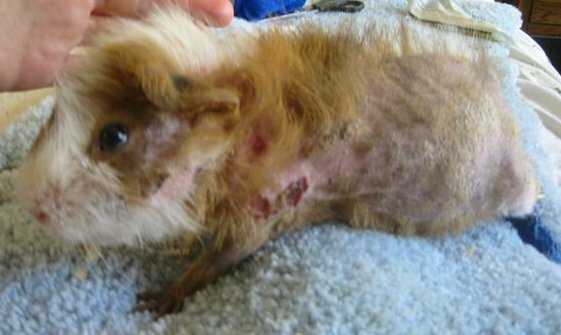 Last we heard, they took them to the vet who gave them an injection of ivermectin the DAY AFTER they just had topical ivermectin. These guys were seriously straved.. it wasnt just the mite problem. Somehow, I think those 3 females are probably dead. 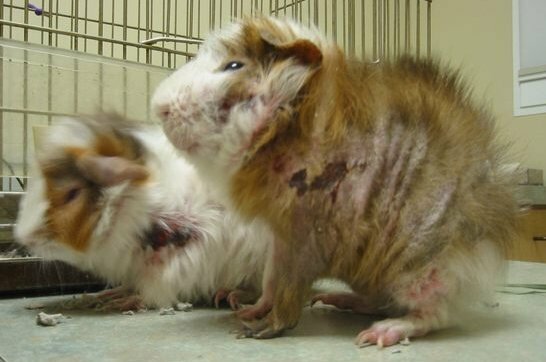 Its unbelieveable these poor pigs survived this, they look great!! and CP better not have, hes my man! (thread man)! That's a shame. I'm glad at least these two were saved. They are very cute. Were any charges pressed against these people? Seriously, surrender or not, they should have to face the consequences for letting these pigs get in that condition. They look 500% better. CP, where are they now? At Charydbis'. 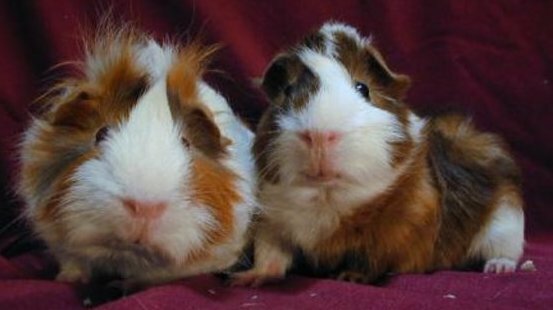 They're on our website now as an adoptable. Man, they look so good now! Hey, I'll copy the pics to the forum tomorrow if I remember, if it's okay with you. I may move this to one of the reference forums so people can see what a severe case of mites looks like. Tell me, what kind of guys are they now? Are they friendly? Do they seem happy? what kind of other med regime did they get, besides ivermectin? I'm wondering how they even survived. seems like they would have been open doors to infection. From a rescue standpoint, curious how much it costs to save those pigs. They are so friendly... and seem very happy. And they are so cute! But yes, very good personalities. Yes its fine by us. BTW.. we also want to thank all the people who donated money to those two. It really added up to be a good sum and really helped up get thru it all. Yes those two are very sweet boars. 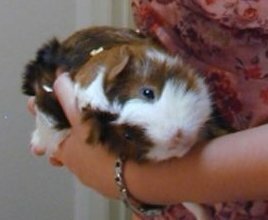 They were handled so much that they don't mind being held anymore. They don't seem to be the brightest pigs, in my opinion but definitely really big sweeties. I just hope someone will adopt these guys. They're obviously not perfect looking. EDIT: BLM... a lot of the cost of ill pigs comes from our pockets. Luckly, some really nice GLers donated some funds for those two. We used Dex and Torb, which is a pain killer and a steriod, to held relieve the pain and itching. It helped them stop seizing. 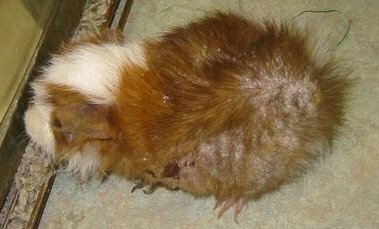 I hope the next time some dumbass says they dont want to spend money for ivermectin or refuses to believe their pet store pigs have mites.. this thread will scare them into doing the right thing. What a good job you did with the boys. I am so happy they are healthy and on their way to a better life. Wow! 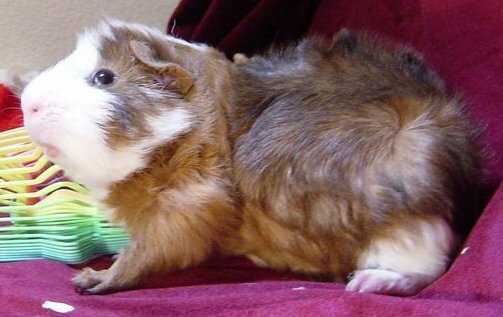 Look at those handsome piggers!